I'm always on the lookout for a resort that isn't just geared towards couples or families. I like a place that I can enjoy my time no matter who I bring with me. 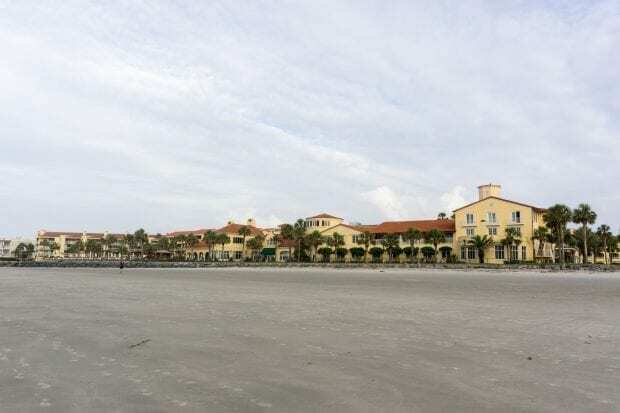 I recently spent a few days at the King and Prince Resort in St. Simons Island, Georgia with a friend of mine and we really enjoyed ourselves. I was invited to stay at the King and Prince to experience the resort and its offerings. All opinions are my own. 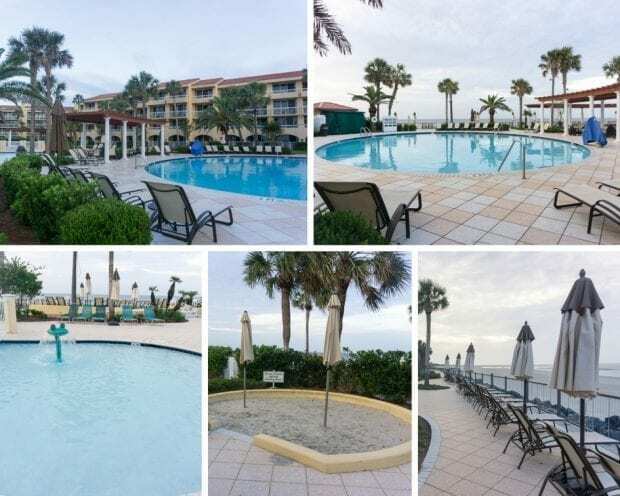 The King and Prince Resort is a gorgeous historic hotel located right on the beach in coastal Georgia. The Golden Isles are a beautiful area that the community has managed to preserve with laws and rules that keep building sizes low and new companies coming in nearly impossible. Bad news for businesses, great news for tourists. You won't find a ton of resorts in this area because of that. What sets the King and Prince Resort apart from the rest of the lodging options on the island is that there is an option for any sized group. If you're looking for a home that holds a big extended family or just a room for two, there are so many great rooming options to choose from at the King and Prince. The hotel owns and helps manage a handful of residences and villas. I stayed in an oceanfront room overlooking the pool and the beach. 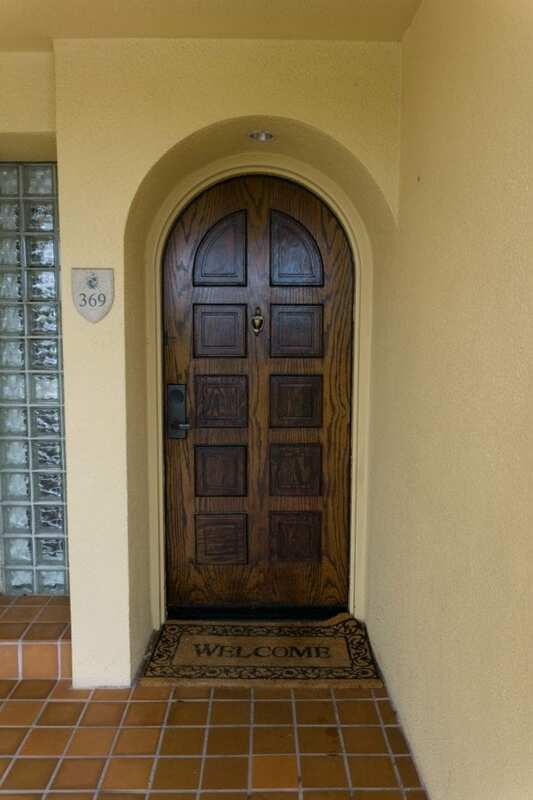 I loved that my room had a beautiful archway door and a balcony to sit and enjoy my coffee while watching the sunrise. The balcony also has a screen door, so if you want to leave the door open and have the waves lull you to sleep without being eaten alive by insects you can. 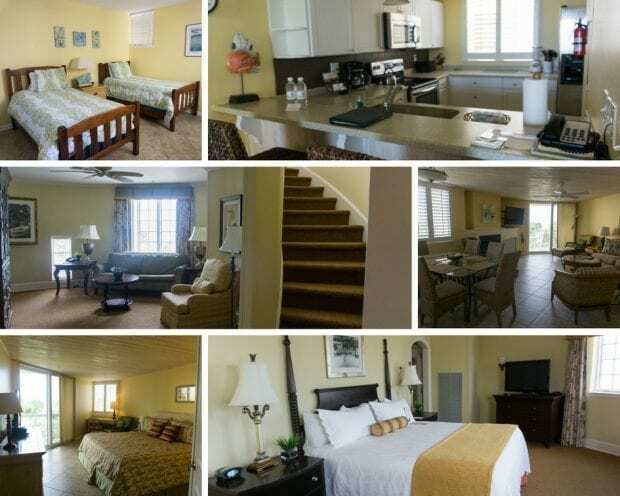 We also got to see some of the premium oceanfront rooms and suites that the resort offers. I love that you can walk out onto your balcony and then walk straight off the porch into the grassy area and bench swings overlooking the beach. You don't have to walk through the hotel hallways or lobby. It allows you to stay in your own little vacation bubble if you like. King and Prince is also a dog-friendly resort! Which is amazing because Georgia is the only southern coastal beach that allows dogs to walk and play in the sand (there are date restrictions when the crowds are heavy). Before I arrived at the King and Prince, I got an email asking me if I wanted any additional information about some of the activities and events that the K&P offers. The same day I filled out the form the concierge called me to discuss some of the happenings that were kid friendly. King and Prince offer poolside activities for families to enjoy. They change from month to month, and you can find a listing in the activities section of their website. Some of the summer activities include making s'mores, crafts like making sand dollar ornaments and bracelets, to water gun games. If you aren't enjoying the resort with your family, there are lots of other relaxing options to check out. Krystyn and I loved walking up and down the beach during low tide beach combing and finding lots of living creatures in the shallow water. There are lots of great places to sit, enjoy a cocktail and just chat as well. We participated in an amazing yoga session right on the pool patio area. 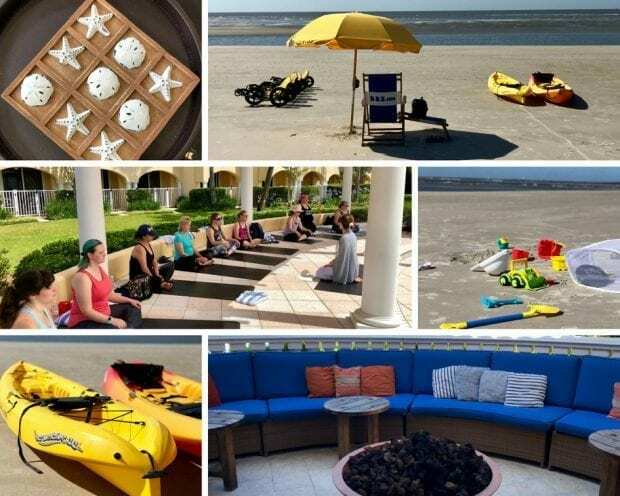 The King and Prince partnered with Traci Jo Lee Founder of Sault 108 to offer a great yoga retreat right at the resort. The lobby area was so inviting as well. There is a big fireplace and lots of comfy chairs that surround it. I even found a cute tic-tac-toe game! Outside there is another lounge area with a big fire pit and circular sofa to enjoy the fire. There are five oceanfront swimming pools to enjoy at the resort. I love the kids are because it has a cute frog water feature and there is a sand area for the kids to build sand castles near the pool. 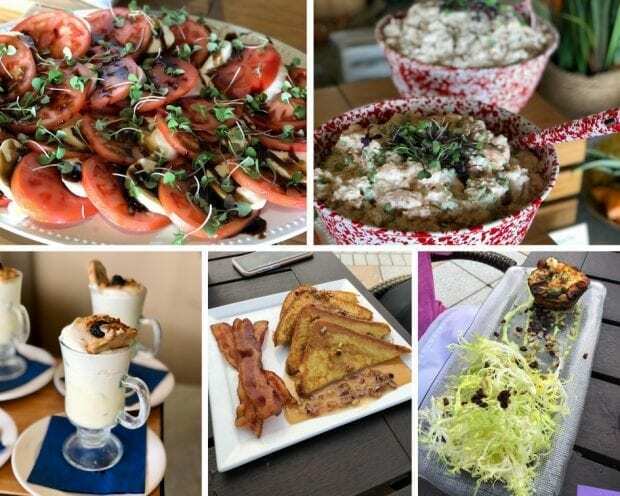 Whether you're hanging out by the pool, relaxing in your room, or planning an event at the King and Prince, there are some delicious foods you should try. We got a chance to try a few things on the catering menu, and I have to say that the Tuna and Chicken said were some of my favorites. The Almond Honey Lavender Mousse was to die for though! ECHO is the onsite restaurant that is located in the main lobby and has indoor and outdoor seating with a wonderful view of the beach. They are open for breakfast, lunch, and dinner and offer a great assortment of tastes. We enjoyed breakfast on the patio after the sun came up and it was a refreshing morning. ECHO has daily specials and hosts a Sunday brunch. You can also order full pizzas to be delivered to your room! The in-room dining also has a children's menu. If you're visiting the resort in warmer weather, the Sea Shack Bar + Bites is a great option to enjoy a bite by the pool while you're working on your tan. I really loved staying at the King and Prince, and I can't wait to return one day soon with my family. Wow, what a beautiful place. Visiting Georgia is on my travel bucket list. Definitely adding this to it I could stay here forever.